Have you ever thought about using a room divider? Perhaps there is something missing from your room and you can’t quite figure out what it is? Perhaps adding a room divider could be the answer. There are tons of situations where a room divider could be useful. 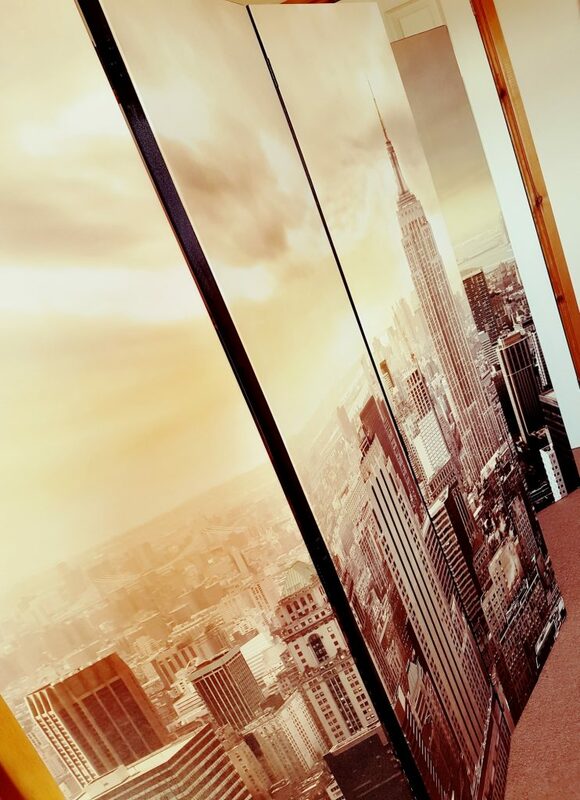 Whether it’s your child moving into a dorm, you opening a business or professional office, or maybe just to deal with sun on a computer monitor at home, a room divider could help. Choosing any new piece of furniture means balancing the practical purpose with personal taste, and finding the right room divider is no exception. 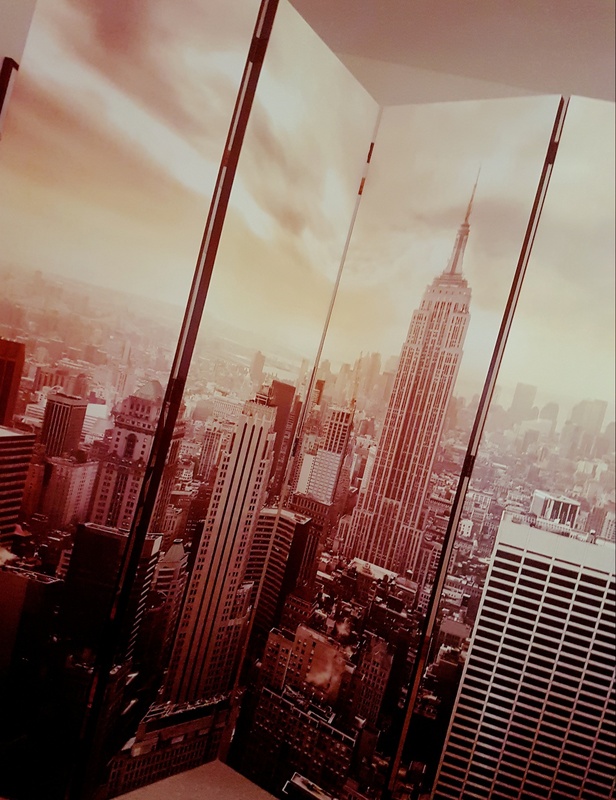 As a decorative background – especially if you have chosen something with a striking print or a stunning image, like this New York design from Bimago. When you are looking for a room divider, be sure to search for “folding screen” as well. As a window shade – perhaps you need something to keep the sun off your home desk, computer screen or homework area? To define a space – maybe you just want to highlight a particular part of the room and a room divider might help that? To hide/conceal an area of the room – perhaps you want a screen to conceal an area of the room? I’m not suggesting that you don’t tidy up and just hide the mess with a screen, but perhaps there is an area that you don’t want to look at all the time and a screen might help, a work area maybe? How tall do you need it to be? Do you have a low or high ceiling? How many panels wide do you need it to be? How wide is the space? What do you want it to be made from? Rice paper (allows light to pass through) or solid panels? (wood, woven fiber, faux leather, canvas, lacquer). How heavy does it need to be? Lightweight (shoji, plant fiber, canvas) or more substantial? (wood, faux leather, lacquer) – could it get knocked over easily? Do you have a room divider? Do you think you would have a use for one? My part-time job we are always selling them and I’ve often wondered about getting one. Not sure what for, we live in an apartment don’t have a lot of extra space and don’t get many visitors.